This delicious 3-ingredient parfait is incredibly simple: a scoop of sherbet, a sprinkling of chopped cookies and a dollop of whipped topping. Voilà! 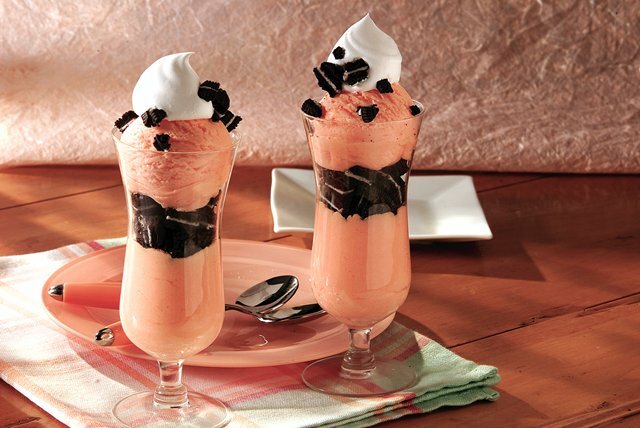 Scoop 1/4 cup of the sherbet into each of four dessert dishes; sprinkle each with 1 Tbsp. of the chopped cookies. Top each with second scoop of sherbet and 2 Tbsp. of the whipped topping. Sprinkle evenly with remaining chopped cookies. Prepare as directed, using lemon or raspberry sherbet.